Hello fellow fitness junkies, it's #wellnesswednesday again! This week, I'm going to share on the 5 snacks I usually eat, which I feel are (somewhat) healthier as compared to other chips and crisps. And this is also my first attempt blogging using the blogger app on my iPad, so I'm keeping my fingers crossed on how this post will turn out. As our company has a 'fruit day' policy, it has slowly became my habit to grab an apple, snow pear or banana as my mid day snack in office. And in the evenings at home, my after dinner snack will usually be an orange, kiwi, strawberries, red dragonfruit (best fruit to cure constipation!) or sometimes, peach. Yeah, I know most of you ladies will probably be going, "What? No, that's not healthy snacks!" But believe it or not, what I love is dark chocolate with at least 70% cacao and not the fattening milk or white chocolates, so I'm safe. No, I'm not going to listen to you telling me chocolates aren't good for me because I'm going to continue snacking on them. HA HA HA. And till date, scientific research has suggested of 4 main possible health benefits of dark chocolates. 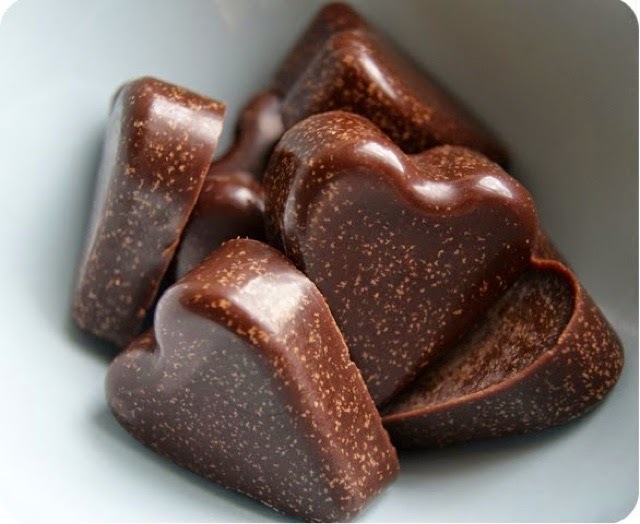 In addition, recent developments on the health benefits of chocolate has also observed that teens who eat a lot of chocolates tend to be slimmer and consuming high levels of flavonoids, which is found in chocolates, could significantly help protect against type 2 diabetes. Almonds is my favourite nuts, ever. Well, actually I love hazelnuts more, but due to a serious lack of availability in my local marts, I ended up turning to my 2nd favourite most of the time. 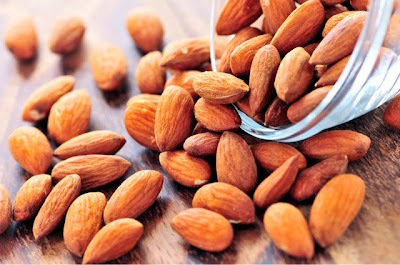 There's always a tub of baked, unflavoured almonds and another tub of walnuts (my brother's favourite) sitting in our kitchen and while watching TV programmes, both of us will always be hugging our respective tub of nuts and munching away. Okay, not a very good example here. Everything should be in moderation, yeah? A handful a day is more than enough. Heh! But remember, for almonds to be a healthy snack, do away with the salt and sugar! Once again, the issue with sugar content plays an important factor when it comes to yoghurt, so remember to check out your dietary labels! The healthiest yoghurt will undeniable be a low-fat, non-sweeten Greek yoghurt, but it's really too funky in taste and texture for me to crave for it at any time. 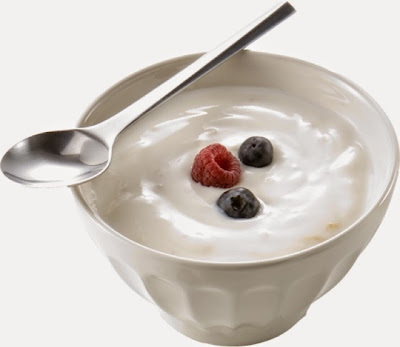 So even though I'm 'cheating' with non-fat yoghurt instead, there's still enough health benefits packed within to make it healthier than other junk food snacks, mainly for the protein, calcium, vitamins and probiotics content. 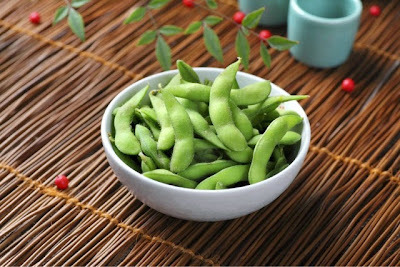 Edamame, or soybeans, really make the best snack ever. Just by dumping a frozen bag of them into hot boiling water for a while, drain and sprinkle with a pinch of salt and viola, you got yourself the yummiest, most addictive TV programme snack ever. Being low in fats and calories, and high in protein, fibre and almost every other essential vitamin and mineral, edamame is literally a powerhouse of nutrients, and it's said that just 1 cup serving will give us at least 6% of the recommended daily intake of all nutrients, with the exception of vitamin D. Magic or what! So, what are the healthy snacks that you crave for most of the time? Drop me a comment and let me know of more healthy snacks to munch on! 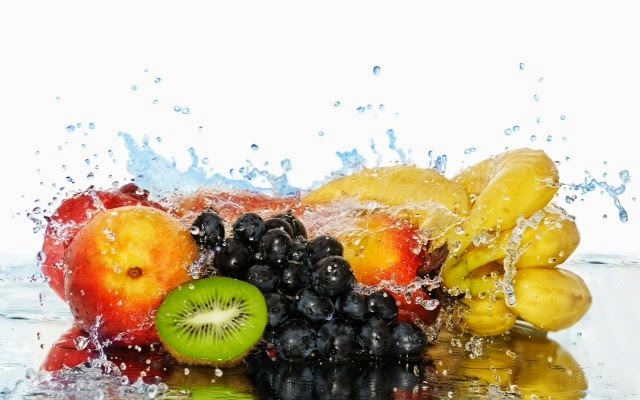 Fruits regulate the body functions and they could easily be digested. Since they're so vital for person's health maintenance and they really do it, their cost in the market tend to be dear. Ordinary people could find a hard time to buy them. So great to get an idea about how to prepare soy beans in a nice way. I will be trying those. I love how you added chocolate in there, you are my kind of girl! Those soy beans sound yum and I do love nuts. I never knew Edamame is so healthy! Haha, that's one of the must-order whenever I go to a Japanese restaurant! Woohoo for dark chocolate! I even make a cacao drink to help the chocolate cravings of course made with dark cacao powder :D Thank you for linking up again this week. Love your posts! I love soybeans and fruits, my fave! All you have posted here are all nutritious but need to know the calories first before intake. Be healthy, don't skip meal. Been eating those healthy foodies except yogurt. Though it is healthy, but I can't take the taste. Soybeans, it is always on my diet. Thanks for sharing some info about this super foods. Eat more fruits are the best way to keep individual healthier. I can't stop eating any fruits everyday. Thanks for sharing. They're all mouthful but I'm a sucker for dark chocolates. I'm starting to like your blog. I think chocolate can be healthy especially the dark chocolate ones. I love to eat fruits because its just the right amount of sweetness and is really healthy. I love nuts and chocolate, moreover they stimulate the brain and when I am under a lot of stress these foods help me balance my state of mind. I love snacks.. Really need to spot for healthy snacks else i'll be ending up chewing the unhealthy one.. Thanks for sharing! I enjoy eating all of the foods you listed, but I must buy some more Edamame. I pick it up at my local Hmart and we eat it quickly. Almond nuts are my all-time favorite! I also love yogurt mixed with fruits..yums!